A Letter to Teachers about Learning by Chris Betcher is licensed under a Creative Commons Attribution-ShareAlike 4.0 International License. Great post Chris. Teaching teachers is the hardest thing in the world. I started a blogging club right before my “incident” and it was like working with first graders. Many teachers don’t really want to learn new things. They pretend like they do, but when push comes to shove they would rather not look silly being the novice. Good luck. I love the idea of 23 tasks. We must get teachers using the tools, before we can expect them to use them in the classroom. You would be surprised that even doing something as simple as reading a blog, seems so adventurous for some. Chris , I started reading your post thinking wow, that’s pretty good getting 14 volunteers. Hmm. I really think there is something to be said for paying for a course (or knowing your school has paid for it) as an incentive to applying yourself. James Thurber said never give away a puppy because the receiver will just give it back if things don’t work out. Noone gives back a dog they’ve paid for. Not an exact analogy, but… We have had some teachers (about 5) take up the paid option to do the 23 things and we are hoping to work together as a support group, whilst having an outside mentor online. Hasn’t started yet so we’ll see. What a wonderful idea. What a great way to learn about digital technology. I can understand your disappointment, but teachers are like students- think of what goes on at a staff meeting and think of what goes on in a class. Keep up the good work for those few who really want to learn. They will appreciate it. I’ll have to remind myself to do the same. 🙂 I only have about 3 or 4 teachers really interested in learning more about digital technology. The hardest step is the first one taken. I like the idea of 23 Things. Nine weeks can go so very quickly, though, even with the best intentions. Will they be able to keep revisiting the Moodle course once the nine weeks are complete? I started on my own personal journey over the course of the last year and a half and I am computer savvy. It’s taken an amazing amount of effort on my part to learn and grow with these new tools. Everything I have learned has been well worth my effort. I have benefited in ways too numerous to mention and so have my students. This past month, I signed up for the 31 Day Comment Challenge. I have every intent to continue through all 31 steps, but so many things pull me away from my intention to work on improving myself in this one way. I like the tone of your letter. It might be interesting to survey those who signed up for the course at its conclusion. You might learn how to make another attempt at this offering in the future go smoother. Great letter! I’ll be sharing it with many! Came here via virtual Staffroom, been missing my drive to work podcasts :-). Can well and truly say I feel your pain. I offer lunchtime, during school and after-school tutorials. The number one feedback is “it’s great its one on one learning” Now this is because I only get one person showing up. I would be interested to see how you structured it in Moodle though. 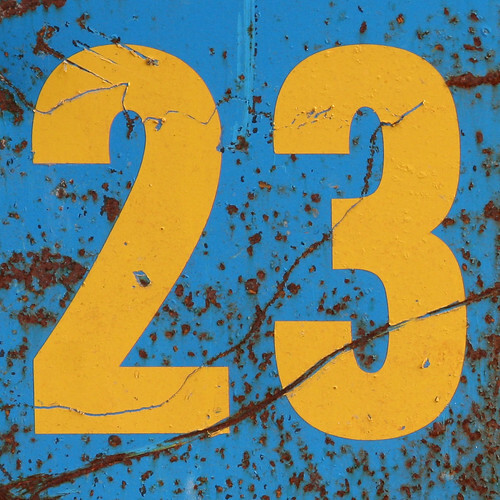 I love the 23 things theme. Someone recommended I do a “theme” for professional development and I thought they were crazy. I tried it – and it totally worked. I had a waiting list! I hope to use 23 Things as my semester long PD in the fall. Thanks! I’m just catching up with some blog reading, and found this post. I’m very interested to know if your letter to the group of teachers made any difference and whether you received any responses from any of them? I think this is a very typical situation with staff (having worked with them) in similar situations. It would be great to do some research into why educators opt in with enthusiasm to online training but don’t commit the time to complete what’s required. Do you think it’s because they think online learning will be ‘easier’ than traditional face to face training? Or perhaps that they are not very good self-motivated learners themselves? and what was the reaction to the letter? I’d also love to know if/how any of them responded!